AutoCAD Mechanical is software that aids in development of mechanical designs and drawings. Proficiency in this software is an essential requirement in various manufacturing industries these days. Our course focuses on providing training and expertise for maximum utilization of this software. AutoCAD Mechanical is custom-built for mechanical engineers with industry based tools and exercises that focuses on various parts of machines. It provides a core-specific knowledge in designing elements of machinery. Our course provides knowledge, skills and proficiency in AutoCAD Mechanical in an easy-to-learn manner. Our students can easily create and design mechanical parts after completion of this course. What do you learn from us? Find out more about our courses and what we can offer you. Download our course information. AutoCAD Mechanical software facilitates mechanical engineers, designers and technicians to craft meticulous 2D digital models of their artwork/part/product providing attention to every detail such as dimensions, materials and functionality of moving parts. Qualified AutoCAD Mechanical students can a long way in their careers. These professionals can find work as AutoCAD Design Engineer, CAD Technician and AutoCAD Draftsman in various manufacturing industries. The professionals, should they chose so, can also be a freelance consultant or an external consultant at various firms and companies that require an AutoCAD proficiency in the Machine industry. Who should be aiming for the course? This course can be taken by students who wish to learn AutoCAD Mechanical from its basics to an advanced level. 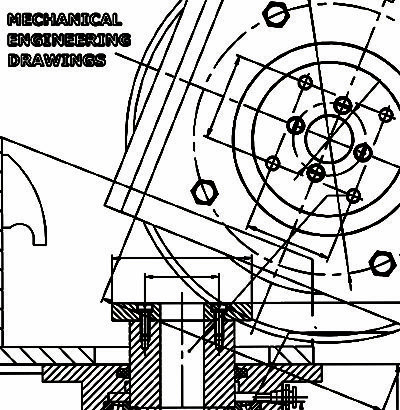 A basic knowledge of mechanical drawing or drafting or any working experience of the software would help grasp its nuances but isn’t an ultimate requirement. Wizcrafter offers professional learning in AutoCAD for mechanical engineers. Our course not only teaches the ins and outs of the software but also provides a life-skill and competency that provides employability. Learning from Wizcrafter and partaking in this drafting and designing course of AutoCAD Mechanical is the best way of gaining proficiency in it. We are Autodesk Authorized Training Center (ATC). Get trained with knowledgeable instructors in quiet classroom settings utilizing sample projects and exercises that emphasize real-world, practical applications. We offer a variety of courses and many, can help you prepare for an Autodesk Certification. Our primary role is to connect students with universities and colleges around the world. To do this, we have the world’s largest database of training programs for students to search.